Animal chiropractic is often the pet’s last health resort. The same is true for the human counterpart. Cowboy was suffering from degenerative disk disease. He had surgery for three blown disks in his mid-back and his veterinarian thought he would never be able to compete in agility again. The owner just knew agility was her dog’s passion and she wanted to fight to keep the sport part of this life. I shared stories of other canine patients I was able to help with chiropractic care and my treatment protocol for spinal cord injuries. I also explained the risks including the possibility of further herniations, even paralysis. She said she’d rather see him happy than dying of sadness so off to work we went. She was going to be every part of Cowboy’s rehabilitation. Three months after surgery, chiropractic treatment and rehabilitation, and subsequent veterinary evaluations, Cowboy was able to compete in agility at the AKC World Series of Dog Shows in Houston, Texas. Cowboy went on to win three first place blue ribbons! If your dog has suffered any trauma, take your dog immediately to your veterinarian for evaluation and treatment. An anti-inflammatory, muscle relaxant and/or pain killer may be prescribed. If you are interested in a Chiropractic evaluation, obtain a veterinary referral from my website (www.docjackie.com). After a complete history, thorough interview and examination of your injured pet, I design an individualized treatment protocol and regimen. The sooner the rehabilitation starts the greater the likelihood of success. Spinal cord injuries can be reversible, irreversible or somewhere in between. They can be progressive or static. The spinal cord can be injured at neck, mid-back and/or low back by compressive forces due to blunt trauma, congenital defects, space occupying lesions (arthridities, fibrocartilage, disk material, tumors) and vertebral subluxations. Not all spinal traumas are surgical cases. The severity of the injury is only one of the factors that dictate the length of recovery. The treatment may be very tedious, time consuming and lengthy. You need to determine if you are willing and able to commit the time and financial resources needed for stabilization, maintenance and after care. With time, proper chiropractic and veterinary care, the body does have the power to heal itself. Other modalities that can help include acupuncture, Chinese herbs, homeopathy, massage, even animal communication! Not all case stories end as well as Cowboy’s story. Eventually, his degenerative disk disease got the best of him and his suffering was humanely ended but not without his last Hurrah! Dr. Doval is a Texas licensed chiropractor for both humans and animals. She will be presenting her treatment regimen and protocol for the rehabilitation of canines suffering from spinal cord injuries at the American Veterinary Chiropractic Association’s 2007 Convention. My Shi-Tzu, Muffin, just suffered a neck injury on Sunday when she escaped from my hand, held by a leash, and chased a cat around a corner. As she came around, I stepped on her leash to prevent her from running into the street thus jerking her neck and causing the injury. I was unaware that she was affected in any way until this past Wednesday when her tail remained between her legs and she was not moving very much. I took her to the vet who did xrays and blood work. She had a fever and was dehydrated. He also said that her back right leg was not responding in the way it should. He thinks it is bruising of the spinal cord. He prescribed a pain medication and gave her water under her skin and sent us home. She whimpered all night long last night and has “siezed up” a few times today. She is also not eating her dog food, but eats chicken. She will not drink water, but we have been giving her water with a syringe. We took her back to the vet today – she had a fever, was dehydrated again. He said that she has digresses and that we need to monitor her for the next few days. He mentioned the next steps might be a MRI and surgery – at a cost of appoximately $7000. We cannot afford that! I am wondering if it is too soon to think about the next step. Can this “situation” get better with her? Her back legs don’t appear to be working like they were and her front left leg siezes. I want to tell my girls that things can get better without offering them false hope. My dog Prince has been diagnosed with a suspected tumor in the L3 and L4 in his spinal cord. He is undergoing a treatment with a drug called lomustine. Do you have any experience with this type of tumors. He is, of course, also taking pain medication. Thanks. 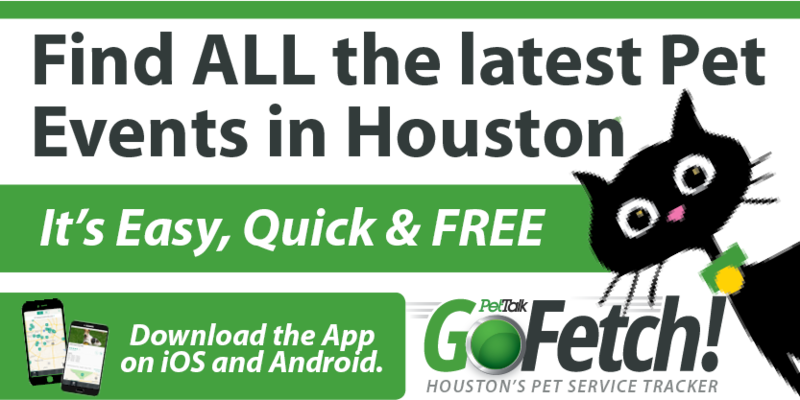 Best you should make changes to the page name Hope For Spinal Cord Injuries In Dogs | Houston PetTalk to something more better for your content you create. I loved the the writing withal. my 5yr old toy poodle (star) had blew her disk in her lower lumbar a year ago. She had spinal surgery done and stay extra for intensive care she came out with a 50/50 chance to walk, so we got a wheel chair and she wouldnt use in it! 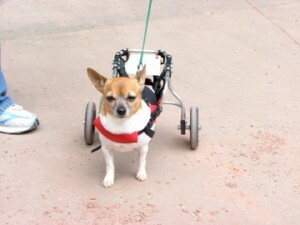 It just caused her neck problems so her vet reccomended we do some accupuncture and that was a few months ago and it got her using her legs in back and forth but she cant hold herself up on her own but in the wheel chair it looks like shes walking perfect . So im curious if there are any braces to hold her back strieght????? cause its almost looks like she has “wobblers syndrome.” she does have strength in her legs. Try contacting Dr. Robin Robinette, http://www.vetchiroandrehab.com in Houston…she is actually writing an aritcle on spinal injuries for our next issue! My toy poodle girl (Pako) had a spinal surgery and removed a disk, which caused the bleeding in the spinal cord, and damaged her nerve. This happened so suddenly… She was paralyzed for a good several months and we were seriously seeking for the wheelchair option. I took her for the rehab on treadmill walk in water. She is not 100% recovered, but she is able to walk, up/down on stairs, and try to live in the normal condition. It is not cheap to have the treatment, but it is so worth it!! I took my 4 year old baby to the vet because he wasn’t functioning. I first noticed he wasn’t right the night before and a vet said he probably had to walk it out. The morning came, and he wasn’t moving. I took him to another vet who gave him a intervinious shot, and prescript steroids. It’s been five days today, and I’m worried! They said he’d have a fifty fifty chance that I had no other option. Do all injuries require surgery? He has a neck spinal injury. I don’t have money to pay up front but would make any arrangements to get what would make him better! Hope someone can help…….please!!!!!!! Ηello thегe! This post couldn’t be written any better! Reading this post reminds me of my good old room mate! He always kept talking about this. I will forward this article to him. Fairly certain he will have a good read. Thank you for sharing! a blog such as this take а lot of wοгk? I’ve virtually no understanding of programming however I had been hoping to start my own blog in the near future. Anyhow, if you have any ideas or tips for new blog owners please share. I understand this is off topic but I simply wanted to ask. Kudos! Thiis post is invaluable. Ԝhere can I find օut more?